Sydney Shop Girl: Current Affairs. Life At Home. I don't really have anything intelligent to add to the topics currently trending in Australian current affairs but I do think about them a great deal. And I'm not talking about the celebrity surprise baby (Ryan and Eva) and bump (Lara and Sam) announcements. On those topics, I'll just add my joy and best wishes to both couples and leave themselves to themselves. 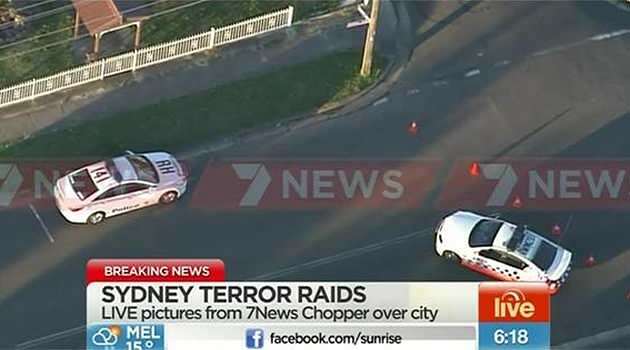 Within days of the nation being placed on a 'high' terror threat comes news (via a constantly updated feed on the SMH's website) of anti-terrorism raids across Sydney and Brisbane as well as the departure of Australian forces for the Middle East to assist in Iraq. It's not just national safety at stake but religious tolerance and harmony as the responses to the raids draw on the perceived vilification of Australia's Muslim community. Overnight, our city has become a different place. The kind of place you'd read about in the US or UK where the effects of radicalisation have already been felt as both nations struggle to find a balance between protecting themselves from extremists aligned to the Muslim faith whilst still enabling their Muslim citizens to lead their lives without fear of prejudice. 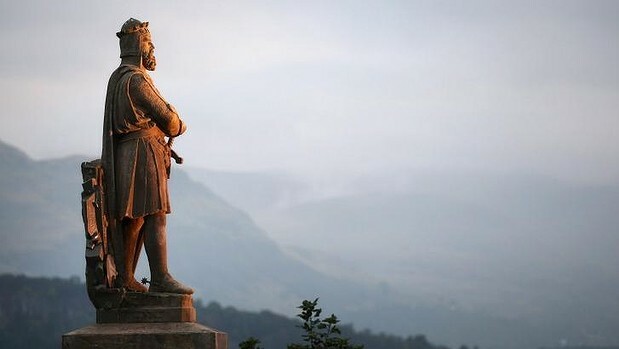 Scotland will be voting for (or against) its independence from the United Kingdom today. As the Queen herself commented, the Scottish will have to 'think very carefully about the future'. Changing tack for the rest of this post. It's Thursday. It's nearly the weekend. We've only got to get through Friday. It'll happen. We did our usual nap time drive to our local Big W today. I was on a mission to get Toddler SSG's summer clothes sorted out with minimal fuss and at as nice a price as I could find. Of course we swung past the women's wear where I did my annual stock up of Emerson's white scoop neck T's. Boys' striped short sleeved Ts - $4.50, Emerson Junior at Big W.
Big W have really lifted their game in children's wear this year. They've launched Emerson Junior and not only are they as nicely priced as the women's wear range, they've also stayed true to the mission of providing easy to wear, fashion forward clothing. I only had a chance to look at the boys' range but I did spy a display of girls' wear too. I'm not sure how long the current range has been in store but the smaller sizes were in very short supply. Boys' 5 pocket shorts - $9, Emerson Junior at Big W.
I haven't seen too many toddler shorts at my usual haunts this season so I jumped at the chance to get the last couple of 2s for Toddler SSG - this green and a dark denim. I was pretty impressed to find that both pairs had adjustable waists - for $9!!! Boardies - $6, Emerson Junior at Big W.
At $6 per pair, it doesn't matter if these board shorts only last a season. They get bonus points from me for featuring that design feature we all love in toddler shorts - pull on elasticated waists and draw strings that are sewn in securely and won't get lost at the worst possible moment (in the middle of a nappy change on a shopping centre change table when you're struggling to find the wipes at the bottom of your baby bag). Skittles. What's not to love about them? Their name has to be said with a smile and their shape just says fun. Seeing them scattered around the garden this afternoon made me smile and forget drama surrounding this morning's incident of The London Bus on the Kitchen Bench. On top of the bench and as close to the wall as possible is where things go when they're at risk of being used as step ladders to gain better access to the sink and stove. In Aldi Special Buy news, I bring word of a Moroccan Argan oil infused hair straightener. My bold and my italics. There's a part of me that's thinking 'what the...', there's a part of me that remembers throwing out my heated hair styling implements of torture because they frustrated me and made my hair feel like raw mi goreng noodle cakes and then there's the part of that says '$24.99 - so cheap'. I'm so conflicted. Speaking of Mi Goreng noodle cakes.... I saw these on the shelves at the supermarket today. Maggi Mi Goreng. I'm only willing to give them a go if they come with the complex selection of sachets that IndoMie provide with their noodles. The suspense is killling me. If you've tried them, do they come with all the bells and whistles sachet wise? Or is it one measly foil packet of powdered synthetic flavour enhancers? There's nothing quite like a toddler in board shorts:). Good article the the age/ smh by waleed aly on terror threats. OH i think that I need to go back and have a look at BigW again! I'm a bit meh about Maggi Mee Goreng though I have learnt my lesson with faux ones from Costco. I cannot remember the brand now but it really is lack lustre.